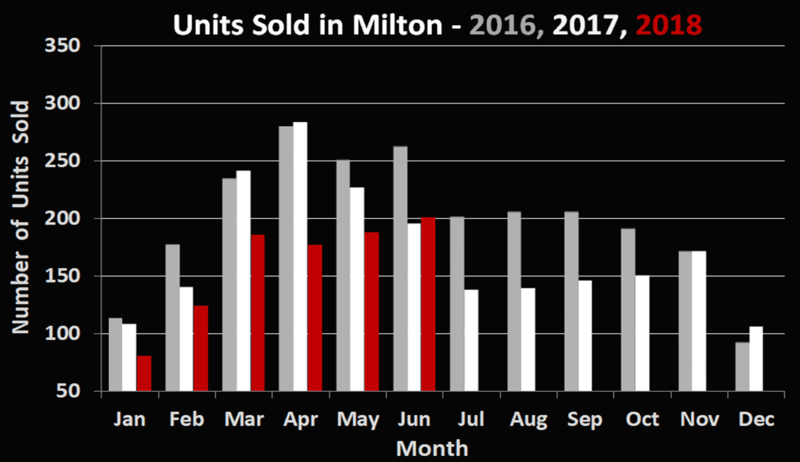 More than a year after the previous Ontario government implemented it’s “Fair Housing Plan”, and more than 6 months after the new mortgage stress tests, we are once again seeing year over year gains in price and volume. The 201 sales in June 2018 represent a 2.5% increase in volume compared to the June 2017 figure. 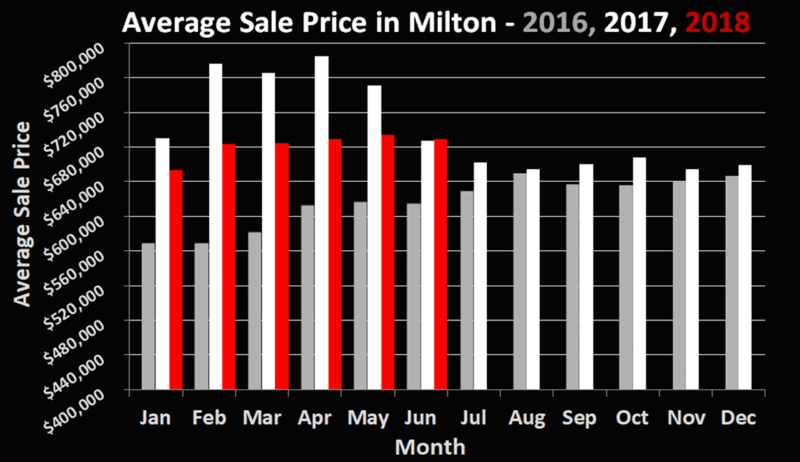 The average sale price represents a slight gain of 0.25% over the past year. It seems like the market has reached an equilibrium and buyers are now realizing that prices won’t be heading any lower any time soon. Inventory is at a healthy level and people are realizing the “stress test” isn’t something that will stifle the market as there are many alternatives to a low approval from one of the big banks (often with better rates!). With insiders speculating about a 75% chance of a Bank of Canada interest rate hike of 0.25% next week (the 4th this year), now may be a good time to seek a pre-approval if you are considering making a move this year. Should there be a rate increase, it is speculated to be the last for this year. If you have any questions about the Real Estate forecast for the rest of the year, we’re never too busy to chat.